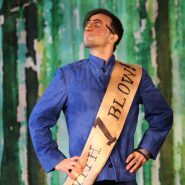 Enchantment Theatre Company believes that quality theatre can do more than just entertain. Theatre offers children an experience that awakens feelings of wonder, empathy, and joy. It fosters creativity, it promotes literacy by engaging students with a variety of learning styles, and it deepens connections between people and ideas. By igniting the imagination and teaching children how to create collaboratively, we connect reading, seeing, learning, and creating through the theatre arts. These experiences develop the whole child and contribute to increased comprehension, compassion, academic achievement, and social-emotional competency. Enchantment Theatre Company was founded on the vision of creating imaginative, magical theater works for children and their families. Based in the heart of Philadelphia, ETC has grown into a major theater company for young audiences, touching the lives of more than 120,000 children annually throughout Philadelphia, the region, and North America. Our works have been seen in theaters around the world and across the country, ranging from sophisticated venues like Lincoln Center and the John F. Kennedy Center for the Performing Arts to rural high schools in North Dakota and Texas. Over 3 million children worldwide have experienced ETC since 1979. 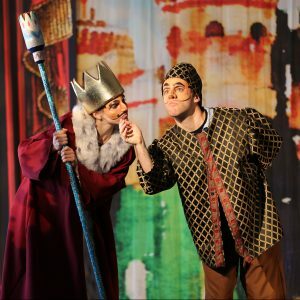 Unique among Philadelphia theatre organizations, Enchantment exists for young audiences: All of our resources are focused on children and everything we do honors, respects, and nurtures their development and imaginations. We believe that quality theatre can do more than just entertain. It can offer young audiences a real aesthetic experience that awakens in them feelings of wonder, empathy, and joy. It can raise their aspirations as well as change the way they look at themselves and their futures. We accomplish this by drawing on great theatrical traditions from around the world—from the Bunraku theatre of Japan to the shadow puppets of Indonesia, from Italy’s commedia dell’arte to French mime and mask theatre. We weave these elements together in compelling productions of beauty and wonder that inspire children to discover and explore their own creative potential. Landis Smith, Jennifer Smith, and Leslie Reidel have established this vision and laid the groundwork for the company, whose contribution to children’s theatre is acknowledged across the country. What a treat. Everyone was blown away. Just delightful on so many levels.